Desired by the wealthy elite and car collectors alike, Ferraris are some of the most sought-after racecars of all time. Not only are these cars absolutely stunning in their sleek, modern appearance, but they are extremely powerful and feature engines capable of hitting speeds that many of us could only hit in our dreams. Today, we would like to explore some interesting facts about Ferraris. When Enzo was just a ten year old boy, he attended his first car race with his father and his brother, and the rest is history. Years later, Ferrari began working as a test driver for a small race car manufacturer and then became a race car driver before embarking upon his career making race cars. After winning a race in 1923, Enzo Ferrari met with the Count and Countess Baracca. The husband and wife lost their son, Francesco Baracca, in 1918 when he fought in World War I. Francesco was famous for his flying prowess during the war and he had a prancing horse logo. The Baraccas suggested that Ferrari’s race team adopt the logo for good luck, and Ferrari agreed to their wishes in 1932. Longtime Ferrari chief engineer Mauro Forghieri famously said that Enzo Ferrari was an excellent businessman and as a human, “he is a zero.” Apparently, Enzo Ferrari was famous for rubbing people the wrong way. In fact, Lamborghinis developed after Enzo Ferrari insulted Feruccio Lamborghini at the Ferrari headquarters. Lamborghini was a successful tractor manufacturer who owned a Ferrari, and he headed to the factory headquarters to politely request a different clutch for his car. The Ferrari clutch used the same clutch that his tractor line used, and Lamborghini wanted to upgrade his Ferrari clutch. Having none of his request, Enzo Ferrari called Lamborghini a “silly tractor manufacturer,” which angered Lamborghini so much that he started his own line of racecars. We know just how crazy that sounds, but it’s true. In 1919, Enzo Ferrari was driving through the mountains of Southern Italy with fellow racecar driver Ugo Sivocci to attend a race. A deep layer of snow trapped their car, and a pack of wolves began circling them. Luckily, Enzo kept a revolver with him at all times, and he was able to use it to scare the wolves away. This sports car was built using Formula 1 technology, and only 400 of these cars were produced. Apparently, many people cannot seem to handle this technology, since at least 14 of these cars have been totaled since they were manufactured. This particular model is valued at about a million dollars a piece, making it one of the most expensive cars that people can’t seem to stop wrecking. 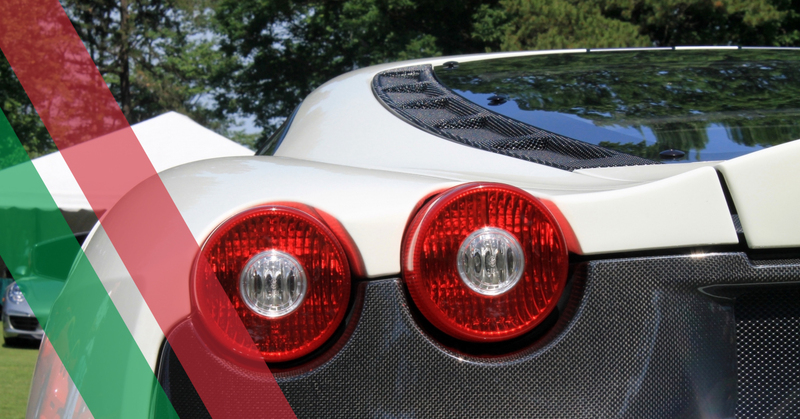 At Leonardo Diagnostic Tool, we feature auto scanner tools made specifically for exotics such as Ferraris, Lamborghinis, Maseratis, Aston Martins, and more. Contact our diagnostic car tool company today to learn more about our diagnostic software for cars and auto scanner tools.